Unfortunately we don’t always hear about some interesting clinical trials as early as we would like to. The following is a case in point. as first-line therapy for men with metastatic, castration-resistant prostate cancer (mCRPC), regardless of the patient’s genetic/genomic status. In other words, in this trial, known as the PROpel trial, the companies are testing the combination of olaparib + abiraterone acetate in “all comers” as opposed to in patients known to be likely to respond to a PARP inhibitor because they have a genetic signal for a microsite instability high (MSI-H) or a deficient mismatch repair (dMMR). The trial is designed to enroll 720 patients at about 150 sites in several countries around the world. Half the patients will be randomized to the olaparib arm and the other half to the placebo arm. The trial also has numerous secondary endpoints. An interesting aspect of this trial is that patients can either opt in or opt out of participation in optional exploratory genetic research and optional biomarker research studies built into this trial. Clearly such studies are designed to explore whether specific subsets of the patients enrolled are more likely to be responders or non-responders to this type of combination therapy. The trial has been designed to generate initial results by about April 2021. We learned about this trial from this report on the UroToday web site of a presentation by one of the principal investigators at the recent annual meeting of the European Association of Urology (EAU) in Barcelona, Spain. As far as we are aware, this is the first Phase III trial of any PARP inhibitor in “all comers” with advanced forms of prostate cancer. We are aware of a couple BRCA2 men using this combination outside the trial. 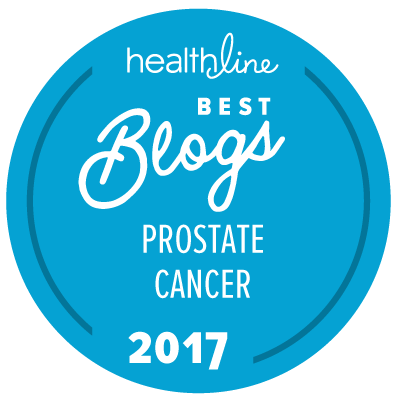 While PARP inhibitors are not FDA approved for prostate cancer, most insurance companies appear to approve off-label use for men with a BRCA mutation. I am not sure if they would approve off-label use right now for MSI high and dMMR alone. I can’t recall one of “our” men ever making that request. More interesting to me personally is that we know there are now second-generation PARPs out there that are better drugs — at least per Johann DeBono in private correspondence with one of our advisors. And we know there are other second-line antiandrogens that may be more effective than abiraterone. So I would very much like to see how a man might respond with say, talazoparib + apalutamide. Hmmm … Apparently there is another ongoing Phase III trial that neither of us seem to have been aware of. See here; talazoparib + enzalutamide vs. a placebo + enzalutamide (but not enrolling patients at UCSF). There is also a Phase I trial of apalutamide + nilaparib that should be comnpleted this year. I was aware of the talazoparib and enzalutamide trial, Mike. That’s an “all Pfizer” trial. Pfizer asked me, Joel, and one other to review the trial protocol about 18 months ago. Apalutamide and niraparib is the “all Janssen” trial. Janssen has distribution rights to niraparib for prostate cancer. I’ve spoken to both Pfizer and Janssen about accessing the second-generation PARPs. I was aware a couple years ago that olaparib/Lynparza supposedly cost over $13,000 per month if one did not have Medicare or other health insurance coverage. Lynparza appears to be a good thing for BRCA patients, and a paper in my files indicates that 2 years ago the FDA fast-tracked approval of its use –- but that was likely for the following women’s cancers. According to this paper, Medicare covers Lynparza for ovarian, fallopian tube, and primary peritoneal cancer in women who carry mutations in BRCA1 or BRCA2, and who have received three or more chemotherapy treatments. Lynparza was the first PARP (poly ADP ribose polymerase) inhibitor to be approved, and the first drug that required patients to undergo testing for a BRCA mutation before they could receive it. So, likely those with supplemental insurance will have all costs covered. Once Medicare approves for prostate cancer the same will likely apply. Interesting, however, is the requirement regarding those women’s cancer having to have “received three or more chemotherapy treatments.” Looking up Lynparza a remark answering what is the cost for lynparza says it is only $3,000, which may be the Medicare-approved cost since when checking pharmacies that carry the medication, it does cost between $13,000 and $15,000. Still too much for the person without Medicare or other health insurance to afford. According to this paper, apparently AstraZeneca is willing to help patients with Lynparza costs.